NephCure Kidney International- World Kidney Day Fundraiser! Help support NephCure this World Kidney Day! All funds raised will go directly to NEPHCURE KIDNEY INTERNATIONAL . 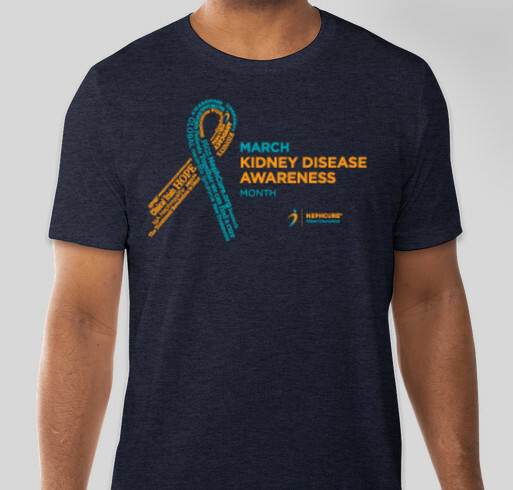 Make sure to wear your T-shirt on March 14th (World Kidney Day), post a photo on social media, and tag @Nephcure! All shirts ordered before 2/21 midnight EST are anticipated to arrive by 3/14. I’m supporting this campaign for my 3 year old nephew. He’s a brave fighter battling nephrotic syndrome! Praying for a cure for my son who has FSGS and all the others fighting kidney disease . In support of finding a cure! My 5yr old has MCD for 3yrs now. As a 4 year kidney disease warrior, battling MCD, this fundraiser is very important to me. Share Why You Support "NephCure Kidney International- World Kidney Day Fundraiser!"